If you want to learn Texas Flood, but you don’t know where to start, start here. So… you want to learn Texas Flood, but you’re not quite able to “just sit down and learn it”. Where should you start? When I travel to a new place for the first time, I prepare by studying the map. I learn to visualize the city, to understand it from above, before I have to navigate it from the streets. 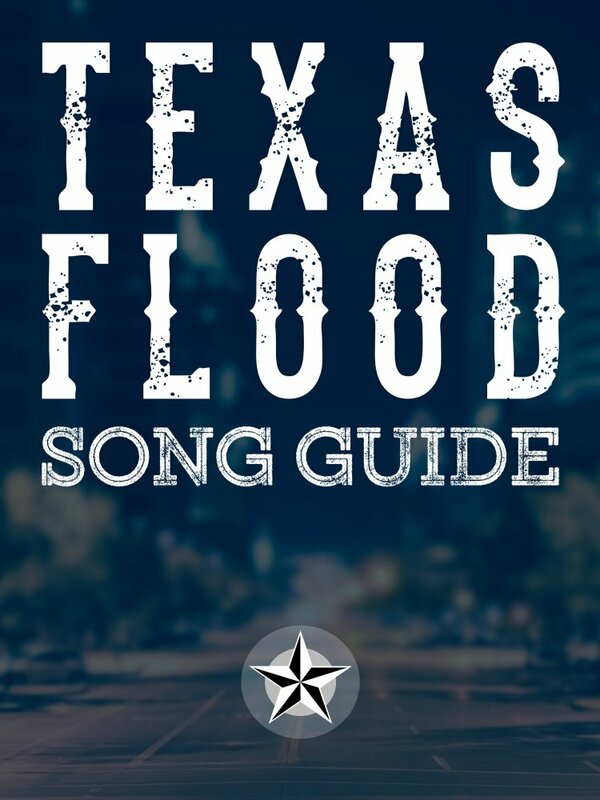 The Texas Flood Song Guide will help you do the same. To visualize Texas Flood, to understand it as a song, before you start trying to navigate through it note-by-note. If you want to learn to play Texas Flood, this is a great place to start. Lesson 1 is free, and it provides an introduction to Texas Flood - kind of a 10,000 foot view. In Lesson 2, I skim through the entire song, pointing out examples of what Stevie would play in each section. I'm not teaching specifically every note to play, I'm teaching you the kinds of notes to play. help you know what kinds of things are "true" to his sound. In Lesson 3, you'll see a Box Breakdown of the entire Texas Flood song. When you play your copy of Texas Flood in sync with the video, you'll see the box that Stevie was playing in light up on the fretboard in sync with the music. Lesson 4 examines how Stevie managed to pull off 10 minute renditions of Texas Flood without sounding boring. I'll explain where those extra choruses happened, and the kinds of themes he consistently used to fill them. Lesson 5 is all about rhythm guitar. Rhythm guitar and Texas Flood? Sure. If you're ever at a blues jam, or if you're ever in a two-guitar band, you'll probably have to play rhythm for Texas Flood, or a song like it. So In this lesson I'll show you three different ideas for playing rhythm guitar that "fit" the style of Texas Flood, and don't get in the way of the lead player.